While there are many fencing materials that can make your property more appealing, wood and vinyl fencing are the most popular options for homeowners in Cobb County. Wood is the classic fencing choice, offering dependability and affordability. Vinyl fencing is relatively new, but presents a sturdy material that can resist most damage over the years and seasons. Both have their advantages, but once you consider the pros and cons of vinyl fencing, the results may lead you choose vinyl fencing for your next project. Vinyl fencing comes in a variety of colors and styles. And for a more natural appearance, vinyl textures are available, all designed and finished to look like real wood. Vinyl fences never need to be painted; vinyl fences also do not split, crack, or splinter. This makes vinyl fencing a wonderful option for families. Finally, if your vinyl fence becomes dirty all you need to do is clean it with soapy water and spray it off with a hose. Perhaps the biggest disadvantage with vinyl fencing is the initial cost. A vinyl fence is simply more expensive than a similar wood fence. Long term, however, the initial cost of a vinyl fence is offset by the minimal maintenance costs. So while the initial purchase price of vinyl fencing may seem expensive, the long term maintenance costs of vinyl are considerably less when compared to wood fencing. So if you’re “on the fence” about vinyl fence, come and visit us at Country Estate Fence. Learn why vinyl privacy fence is becoming a popular choice for homeowners in Cobb, Cherokee and Fulton County. Vinyl is versatile, durable, economical, and virtually maintenance free. Whether you are looking for added privacy and protection, or looking for fencing that will add to the value and curb-appeal of your home, there is a vinyl fence design for you. With over 50 standard designs of PVC vinyl fencing options, see us for custom designs as well. Get a custom look with our Embossed (wood grain effect) and streaked profiles. 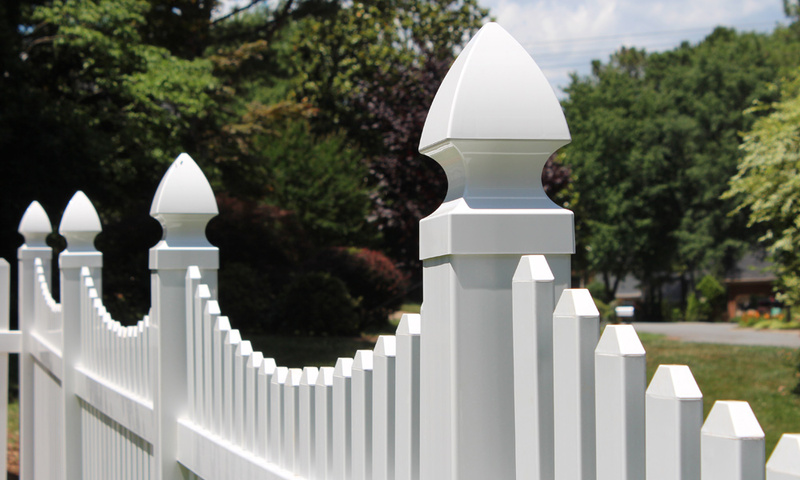 Find out why Country Estate Products is the vinyl fencing supplier in Marietta GA to call first.